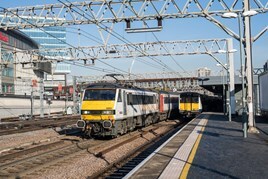 The RMT union has issued Greater Anglia with a deadline of June 19 to confirm that ticket offices and jobs will be kept open for the length of the current franchise, or the union will declare a formal dispute over the issue. It claims GA is proposing to close the bulk of the remainder of its station-based services during the next year in three stages, with seven ticket offices to close by this summer. GA says it will continue to monitor ticket sales at other ticket offices, and that there would be no job losses as a result of the current proposals to close seven ticket offices. Seems the union half listened to what GA said, a bit like me and the wife. Then one gets grumpy because of what they thought they heard not actually what was said.